Selfie (n. informal) a photograph taken of oneself and usually uploaded onto social media. From a short list which included bedroom tax (for UK speakers), binge-watch and twerk, selfie was the clear global winner. The word is chosen by lexicographers from data on the use of over 150 million words per month. The word has been translated (Finnish omakuva, Romanian autoportret), but in translation it loses the informal feeling of the English diminutive, although the Korean selka might be closer to the mark. Selfie has even inspired a daft Filipino pop song with over a million YouTube hits. If you don’t speak the language, you will understand the words camera, click, smile, and of course selfie… Days after the OED announcement a viewer commented, “this is song is just promoting how dumb and stupid people are saying I’m taking a selfie…. this word will be gone soon.” You might agree about the song, but a word which increased in use by 17,000% over the last 12 months is not going anywhere. Even the Pope and Obama’s daughters are at it. Selfie has led to a myriad of spin-offs such as helfie, (a selfie of your hair), and bookshelfie. Here’s a bookshelfie from my workroom. 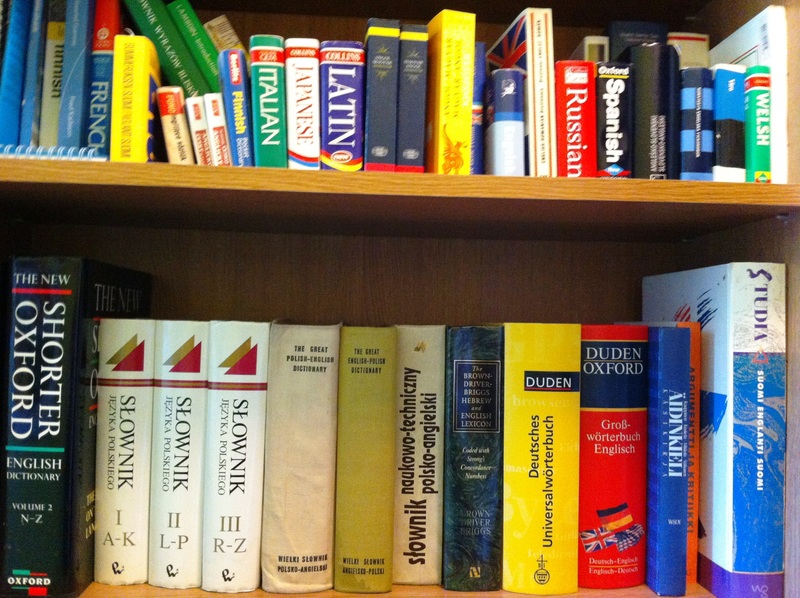 When so many new words are being coined each year, you can’t have too many dictionaries.